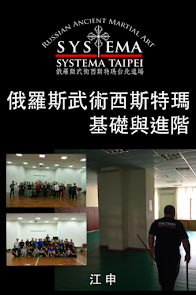 Systema Taipei was established in 2006, at very beginning it was just a private training group within few enthusiasts gathering together to practice Systema. Group members go abroad once or several times a year to participate Systema seminars (mostly Japan), then back to Taiwan and spent months to practice and digest the contents of the seminar. On the meantime, group members often published Systema related knowledge and practice hint on the Internet (written in Chinese). In 2011, Systema Taipei got the permission and certification from the founder of Systema: Mikhail Ryabko, to share the art in Taiwan. Thus, Systema Taipei became the only official Systema School in Taiwan which is certified and recognized to teach Systema as presented by Mikhail Ryabko and Vladimir Vasiliev. We would like to emphasize the study of Systema is: no secrets, no limits, and the only possible limit is your imagination. 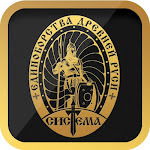 As a result, to those who willing to join us, we are very happy to share what we know about the art. Since we believe: sharing will not let you know fewer, but will let you get more. This is the idea that Systema Taipei would like to spread: no secrets, no limits.